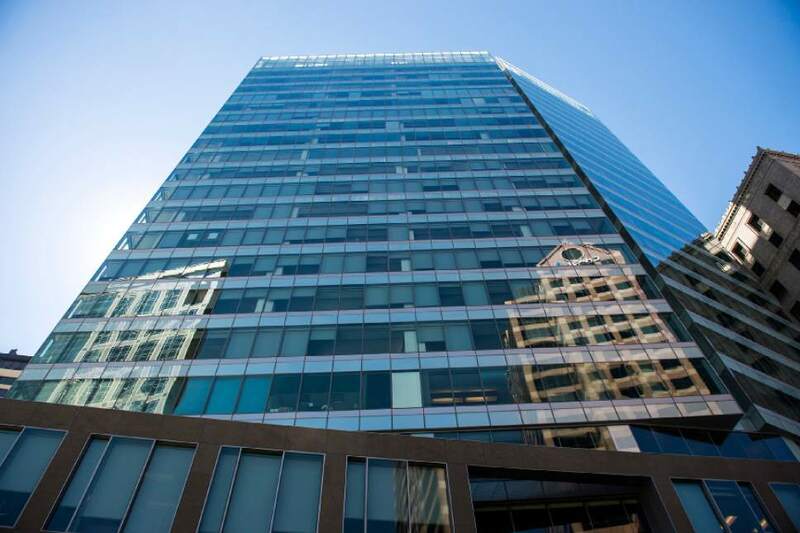 Impact • Financial firm adds to hustle, bustle and diversity on downtown's Main Street. Chris Detrick | The Salt Lake Tribune 222 South Main Tower in Salt Lake City photographed Thursday, May 4, 2017. Chris Detrick | The Salt Lake Tribune 222 South Main Tower in Salt Lake City photographed Thursday, May 4, 2017. Chris Detrick | The Salt Lake Tribune 222 South Main Tower in Salt Lake City photographed Thursday, May 4, 2017. Chris Detrick | The Salt Lake Tribune 222 South Main Tower in Salt Lake City photographed Thursday, May 4, 2017. Chris Detrick | The Salt Lake Tribune 222 South Main Tower in Salt Lake City photographed Thursday, May 4, 2017. Chris Detrick | The Salt Lake Tribune Employees work in the call center of Marcus by Goldman Sachs in Salt Lake City Wednesday, May 3, 2017. Chris Detrick | The Salt Lake Tribune Employees work in the call center of Marcus by Goldman Sachs in Salt Lake City Wednesday, May 3, 2017. Chris Detrick | The Salt Lake Tribune Employees work in the call center of Marcus by Goldman Sachs in Salt Lake City Wednesday, May 3, 2017. Chris Detrick | The Salt Lake Tribune Employees work in the call center of Marcus by Goldman Sachs in Salt Lake City Wednesday, May 3, 2017. Chris Detrick | The Salt Lake Tribune 111 South Main Tower in Salt Lake City photographed Wednesday, May 3, 2017. Chris Detrick | The Salt Lake Tribune 111 South Main Tower in Salt Lake City photographed Wednesday, May 3, 2017. Chris Detrick | The Salt Lake Tribune 111 South Main Tower in Salt Lake City photographed Wednesday, May 3, 2017. Chris Detrick | The Salt Lake Tribune Goldman Sachs Partner David Lang poses for a portrait Wednesday, May 3, 2017. Chris Detrick | The Salt Lake Tribune Employees work in the call center of Marcus by Goldman Sachs in Salt Lake City Wednesday, May 3, 2017. Chris Detrick | The Salt Lake Tribune Employees work in the call center of Marcus by Goldman Sachs in Salt Lake City Wednesday, May 3, 2017. 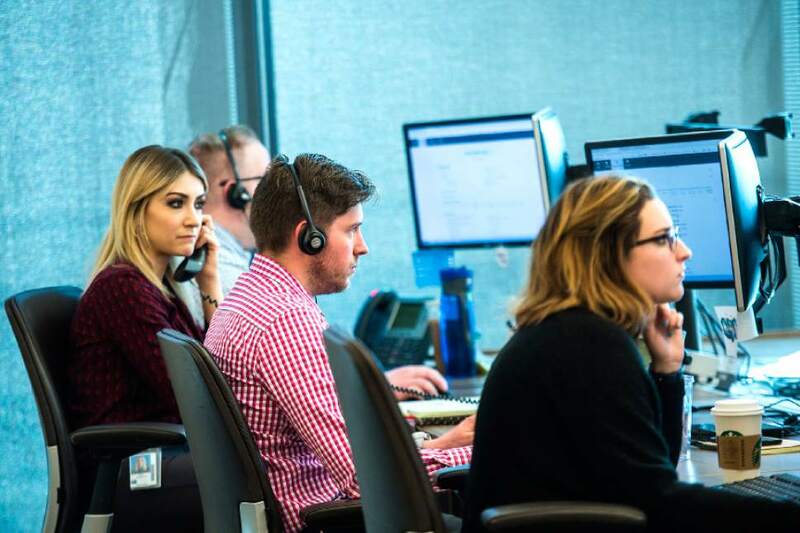 When Goldman Sachs decided to move into consumer financing, it chose its Salt Lake City office to carry the operation that&apos;s been up and running for six months now. 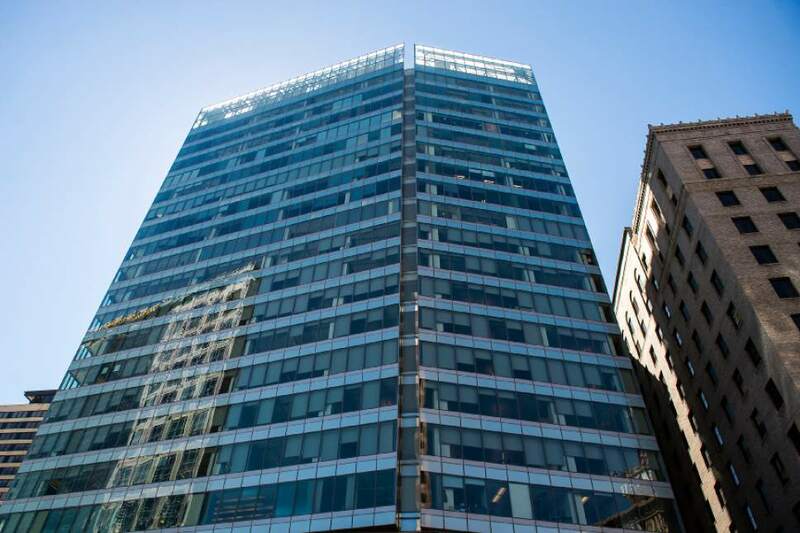 The expansion has created about 170 new jobs at a loan center named Marcus in the Main Street offices of the financial giant, a move emblematic of the company&apos;s growth here  and its contribution to the vibrancy of the city&apos;s core and to the area&apos;s roaring economy. Goldman Sachs started here in 2000 with an office of about 100 workers at University of Utah Research Park. 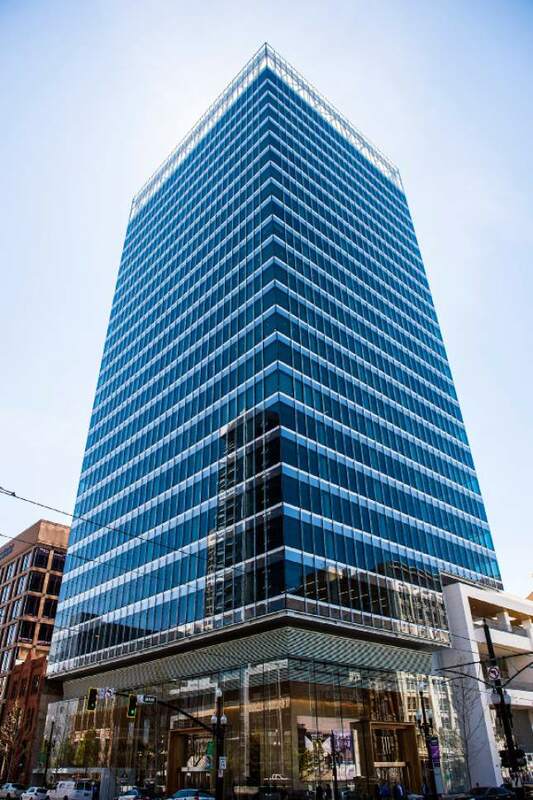 Then, in 2011, the company became one of the first tenants of a new high-rise at 222 S. Main, expecting the seven floors it occupied to be its only Salt Lake City home for years to come. 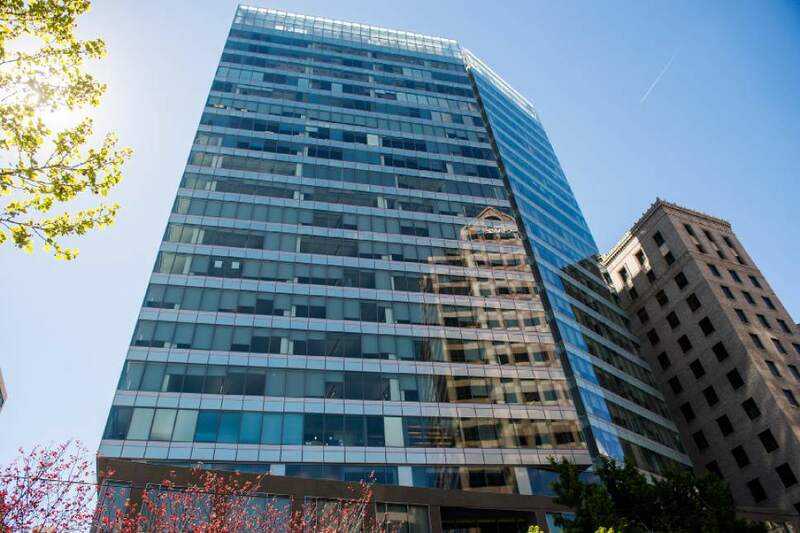 Now, it also has taken up seven floors in the spanking new 111 S. Main, the office tower connected to the George S. and Dolores Doré Eccles Theater. 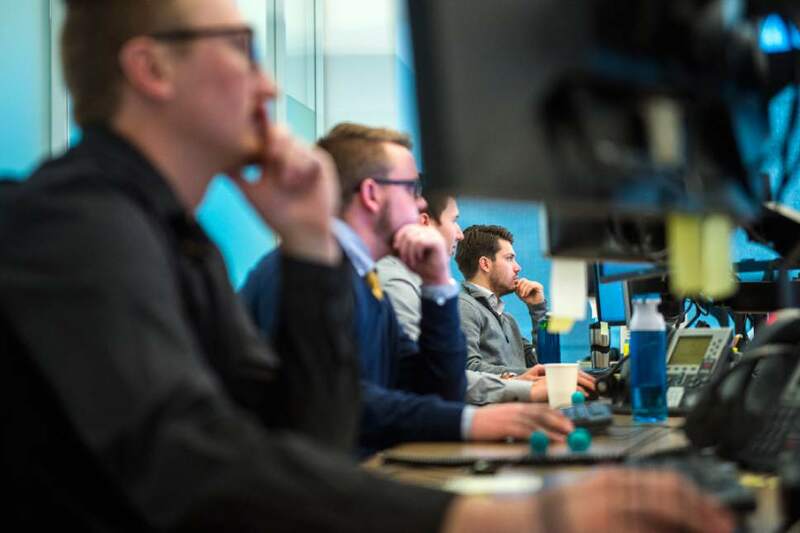 The company&apos;s current employee head count in Utah is about 2,350, making it Goldman Sachs&apos; fourth-largest office with nearly 7 percent of its 34,400 workers worldwide. And David Lang, the partner in charge of the Utah office, projects the workforce could grow to 2,700 this year. "What we&apos;re finding as a firm," he said in a recent interview, "is that there&apos;s a huge population of people who want the global investment bank experience but don&apos;t necessarily want to work in New York or San Francisco. "They want the professional experience of working for a global investment bank, but they want the lifestyle associated with Utah and the quality of life." 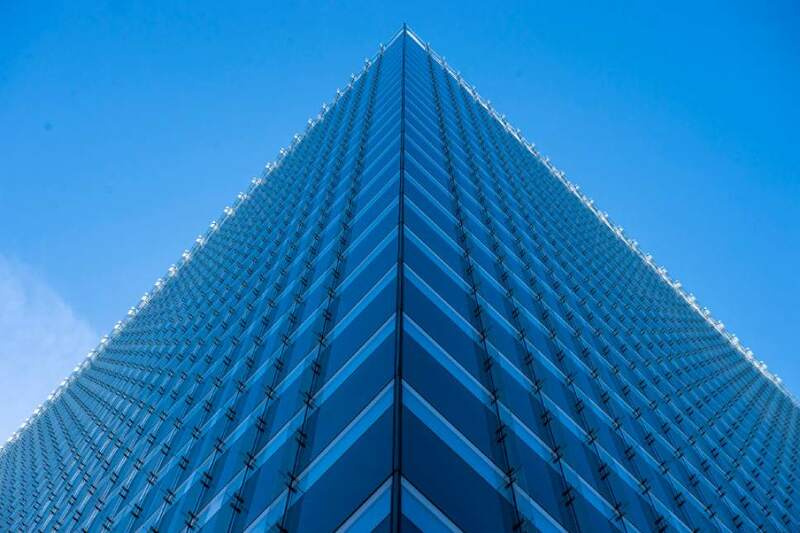 Higher bosses, wider tasks • The roster of people serving in the Salt Lake City office reflects a greater number of senior managers than before. Their positions also signal the broader range of tasks they oversee. "You&apos;ve got very senior people here with global responsibilities," Lang said, "that are based here in Salt Lake, driving strategy." Those include 16 managing directors, who are just below the firm&apos;s top management  up from one in 2011. Their staffs often intermingle. 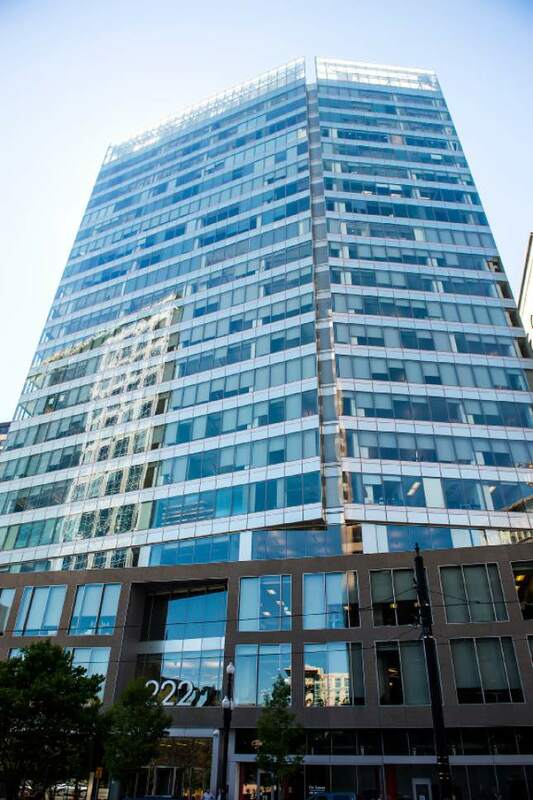 In the 111 Main location, for instance, teams gather in large rooms where dozens of people sit in front of two or three computer screens, making decisions based on the financial news playing out before them and on large flat-screen TVs. • Investment banking with more than 60 analysts. • Global investment research involving another three dozen. • Asset management with around 100 professionals. • Software engineering, including 450 computer technicians. • Large contingents of credit risk analysts and accountants. Deep talent pool • A team in the New York office scouting for new areas of business came up with the idea of the consumer-lending operation. 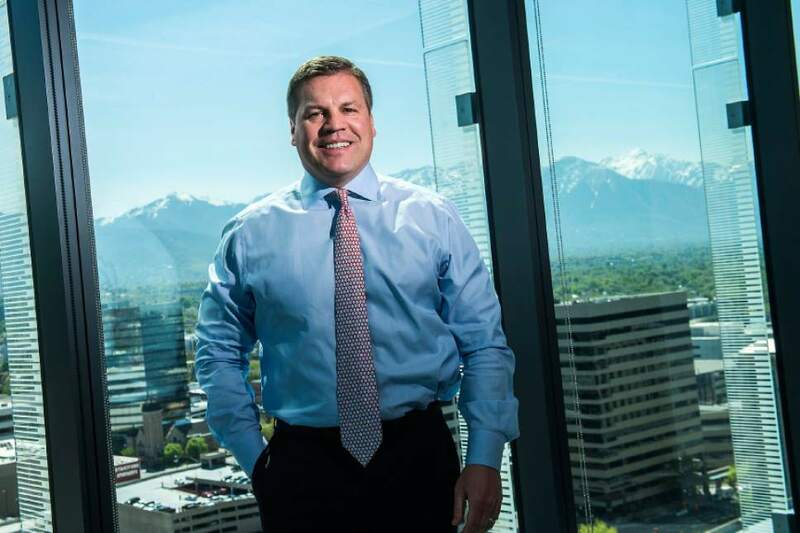 It was kick-started in Utah, said Darin Cline, managing director of operations for Marcus in Salt Lake City, because Goldman Sachs already had a strong presence in the area and knew the hiring market and available talent. Marcus by Goldman Sachs is an online service that offers fixed-rate, no-fee loans to people who are in over their heads in credit card or other debt. Rates can be as much as 5 percent below what they&apos;re currently paying and range from 5.99 percent to 22.99 percent. They&apos;re offered to consumers with credit scores of 660 or better. Goldman Sachs developed a simple, three-step approval process that aims to disburse funds within one to two business days. 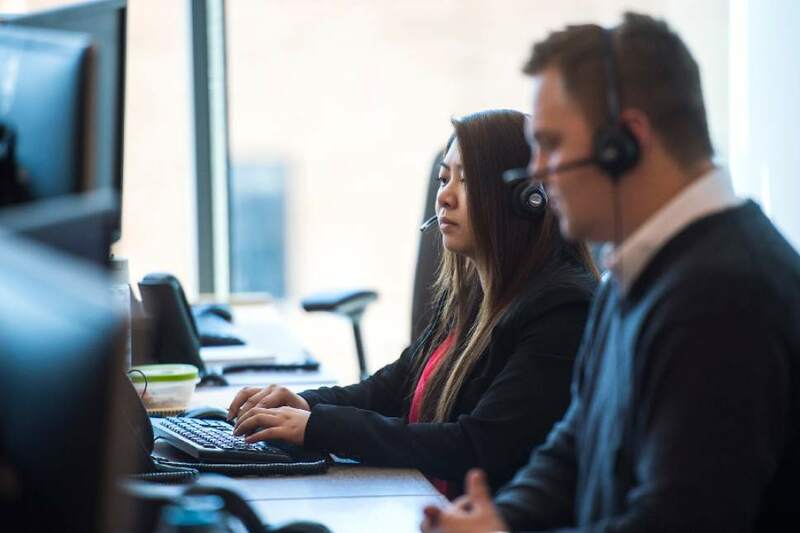 But if an applicant wants or needs to talk to someone, that&apos;s where the new Salt Lake City team enters the equation. 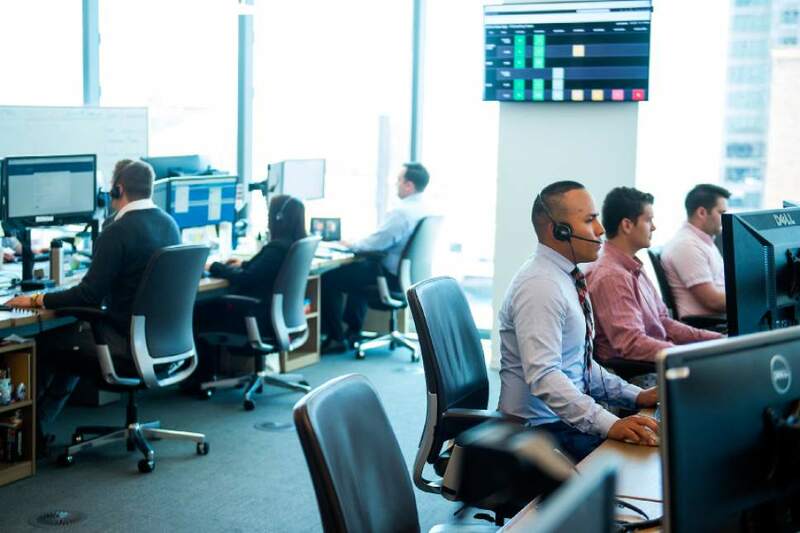 So for its new loan program, the company sought employees with good social skills who can express understanding to people calling about loans, helping them deal with difficult financial circumstances. Besides about 150 loan specialists and managers, the office also has employees focusing on risk management and regulatory compliance. 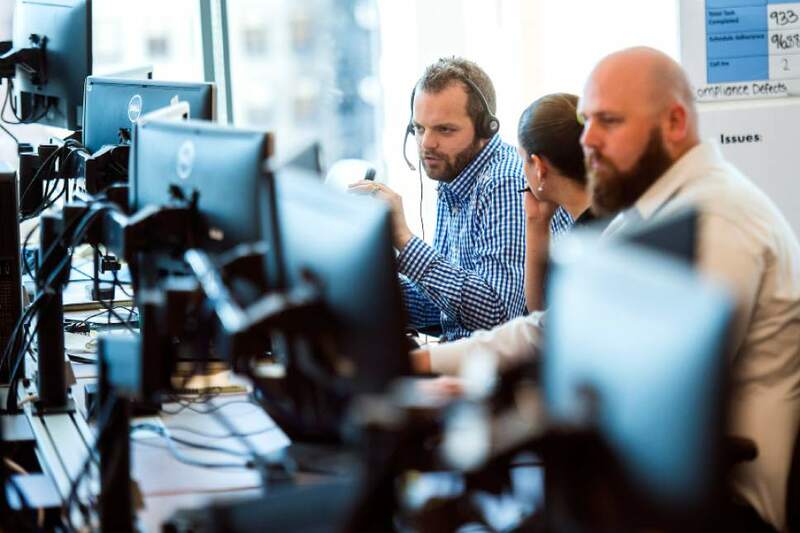 "Leveraging the firm&apos;s infrastructure and talent here enabled us to look for loan specialists who are really passionate, committed and caring to deliver a good customer experience," said April Danile, the vice president responsible for loan origination. Herbert Icasiano, vice president responsible for fraud prevention for Marcus, said the new hires receive rigorous training to give them additional skills they need for their jobs. 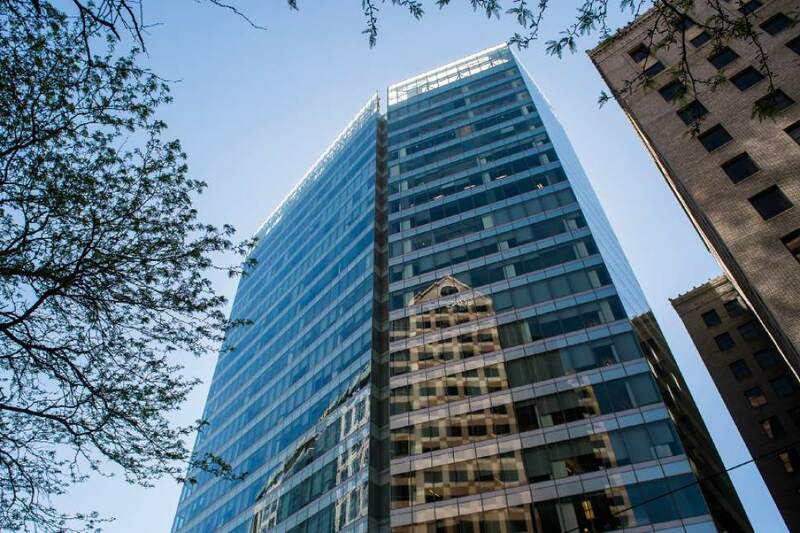 Boosting downtown&apos;s diversity • Besides a job at a global financial powerhouse, what sells Utah to potential hires and transfers is the lifestyle, Lang said. 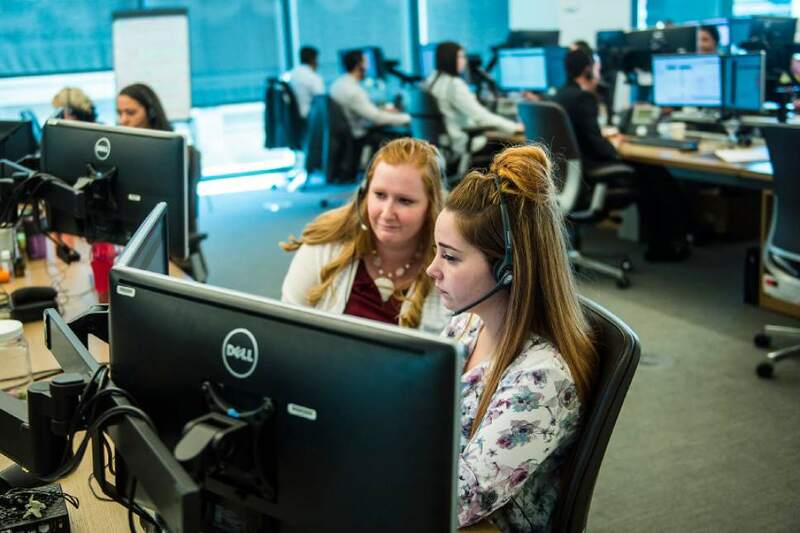 The Salt Lake City office hires about 250 college interns every summer, up to about 65 percent from more than 50 out-of-state universities. The company also imports employees from its foreign offices. "You&apos;ll see this is a very diverse office, and that&apos;s one of the things we&apos;re very proud of," Lang said. "We are bringing a lot of diverse talent into the firm, [people who] are living and working in downtown Salt Lake City." What makes Utah&apos;s capital city attractive to employees? For one thing, Lang said, its relaxed lifestyle compared to New York, London or Hong Kong. His own New York commute took about one hour and 15 minutes to and from home. Here, it takes 12 minutes one way. Housing costs and taxes also are lower in Utah, Lang added, and there&apos;s an abundance of outdoor recreational opportunities. The diversity of the Goldman Sachs workforce  the largest private employer on Main Street, according to Lang  its youth and above-market salaries have contributed to downtown swarming with bodies at lunch and into the night. "They&apos;ve really changed the face of downtown, in a literal sense," said Nick Como of the Downtown Alliance. Poster child for pitching Utah • The company has spent significantly on its Salt Lake City operations. In 2009, the Governor&apos;s Office of Economic Development gave Goldman Sachs a tax-rebate incentive of up to $47.2 million when the company planned to spend $51 million and create 690 new jobs. Those jobs were estimated to bring in $1.7 billion in new wages over a 20-year period along with $157.6 million in new state tax revenue. Five years later, GOED extended the company a second tax-refund incentive, this one for up to $13 million over 20 years. The incentive was conditioned on the creation of 350 new Goldman Sachs jobs and a capital investment of up to $40 million in new office space. This expansion was projected to bring in $1.1 billion in new wages plus state taxes of $43.5 million. 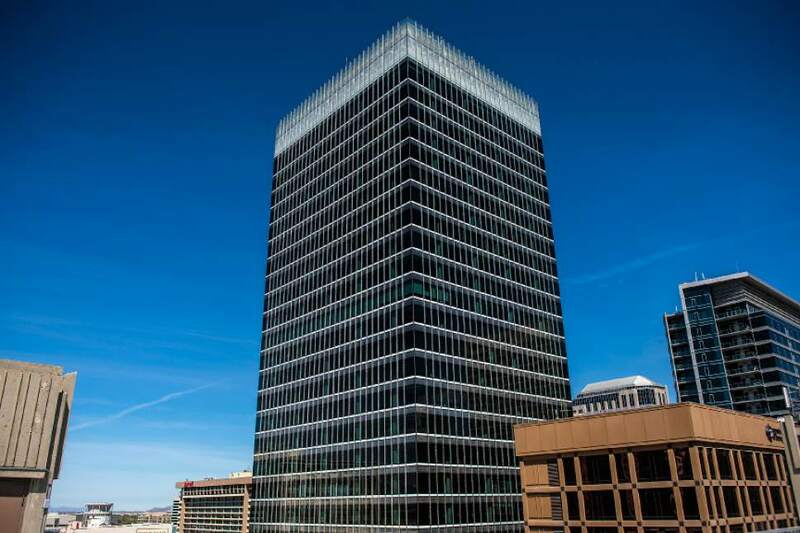 What appeals to GOED Executive Director Val Hale about the Goldman Sachs positions is that they pay at least 150 percent of the average salary in Salt Lake County. Hale said GOED has been able to leverage Goldman Sachs&apos; expansion here in other beneficial ways. "When we meet with other companies and when we give the &apos;Why Utah?&apos; pitch, that we do so often in our office, we almost always point to Goldman Sachs as a great example of what can happen in Utah."